Harry Glover, my paternal grandfather, was born 6 May 1883 in Jackson, Michigan. 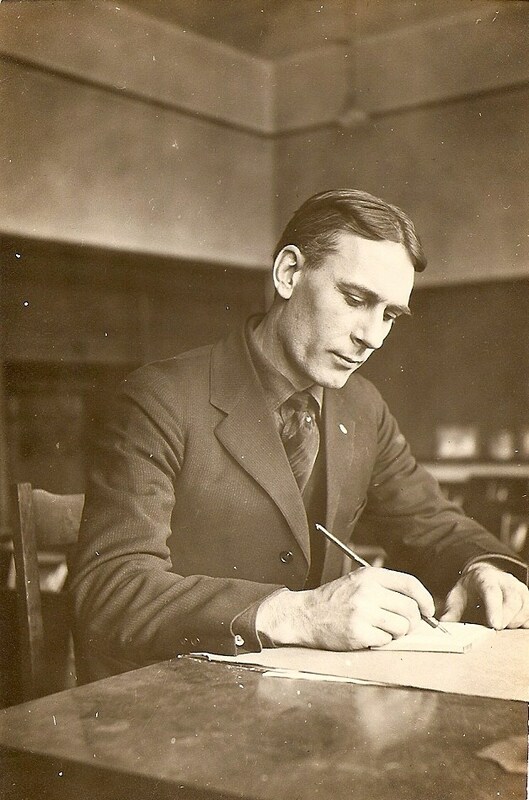 He was one of four children born to Frank H. Glover and Hattie (Fenn) Glover. Researching Harry has proven to be an interesting challenge. The birth record found in Michigan Births 1867-1902 lists his name as Hally. 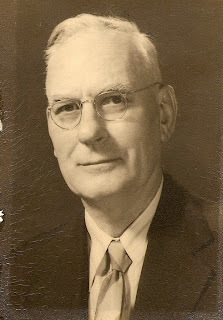 Other records have shown his name as Frank H. Glover, Jr. and Harry Glover. My father says his mother had a difficult time when Harry/Frank died because she didn't really know his legal name. My research has shown that Harry Glover was the name recorded at birth. 1900 U.S. Federal Census, population schedule. Digital images. ancestry.com. : 2006. Harry's family moved from Jackson to Crystal Lake Township, Michigan between 1884-1898. Harry can be found living in Crystal Lake Township, Benzie, Michigan in the 1900 U.S. Federal Census. He is living at home with his parents. His occupation is listed as electrician. When Harry was 18 years old he was running to catch a train and fell under the wheel and his right leg was severed just below the knee. He had an artificial foot and leg that he wore for the rest of his life. 1910 U.S. Federal Census, population schedule. Sometime between 1902 and 1910 Harry and his family moved to Marquette, Michigan. Harry's dad was working in the railroad industry. Could this be why the family moved? 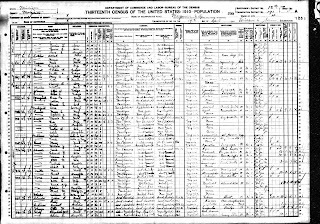 The 1910 U.S. Federal Census shows Frank H. Jr(Harry) living in Marquette, Michigan with his parents. He is 27 years old and working as a machinist in a diamond mill. Harry (although on marriage certificate it's Frank Glover, Jr.), age 28, married Emma Winkler on 2 October 1911 in Marquette, Michigan. Emma Winkler was the daughter of John Winkler and Johanna Lindner. Harry and Emma moved to Detroit, Michigan between 1911 and 1915. Their son, Francis Henry Glover was born 12 September 1915 in Detroit, Michigan. Unfortunately, Emma only lived 15 days after giving birth. This small newspaper clipping was found in Hattie's Bible (Hattie Fenn Glover). I can't imagine what my grandfather must have felt like when he lost his young wife and was left to father a two week old son. My grandfather travelled from Detroit, Michigan to Marquette, Michigan with his wife's remains. Emma Winkler Glover is buried in Park Cemetery, Marquette, Michigan. 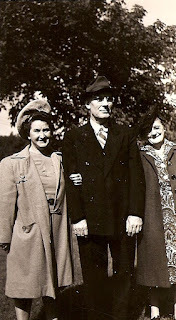 My grandfather eventually returned to Detroit to work. He left his son Francis, later known as Hank, with his parents. 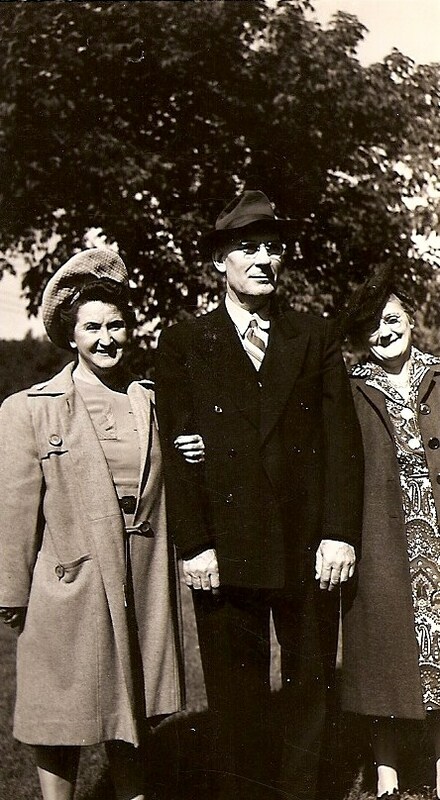 Francis continued to live with his grandparents for many years. Harry Glover (Frank H. Glover, Jr on marriage record) married Sarah Lilla Watt on 23 August 1919 in Marquette, Michigan. He was 36 years old. 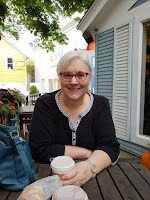 Sarah Lilla Watt was the daughter of David Watt and Katherine McGee Watt of Marquette, Michigan. Harry and Sarah resided in a second story apartment on Cass Avenue in downtown Detroit, Michigan when they were first married. My dad tells of his parent's talking about how hot it would get in the apartment in the summer. Harry and Sarah would go across the street and sleep in the park when it was too hot. (I pretty sure the residents of Cass Avenue in Detroit today aren't sleeping in the park.) Harry was working as a superintendent in a Chrysler auto factory during this time. 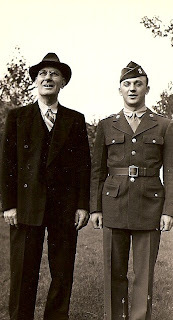 My father, Bruce David Glover, was born in 1925. His parents, Harry and Sarah, decided downtown Detroit wasn't the best place to raise a child so they bought a place on Reynolds Street in Royal Oak, Michigan, a suburb of Detroit, known for the Detroit Zoo. This area later (after 1930) became Hazel Park. Sometime around this time, Harry's son, Francis came to live with them. 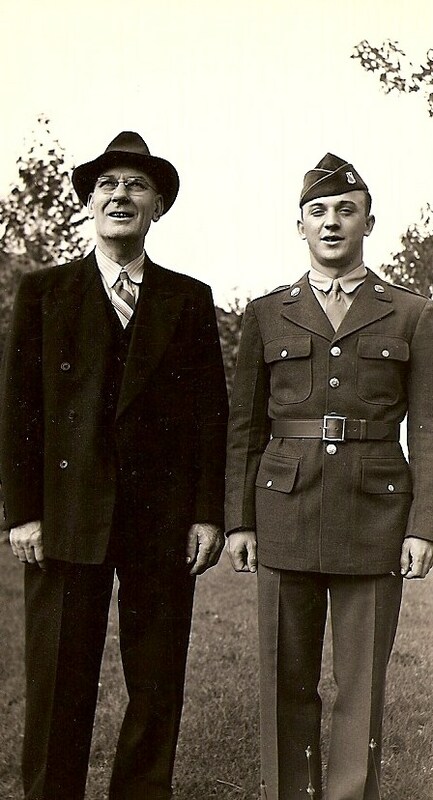 My father was in high school before he even knew Francis 'Hank' was a half brother. My grandmother raised him as her own. Harry, Sarah, Francis and Bruce continued to live in Hazel Park, Michigan on Reynolds Avenue for years. My dad remembers his father liked to fish and smoke cigars. Harry was mechanically inclined and worked as an electrician, tool engineer, and mechanical engineer during his life. I remember going to the store one Saturday morning with my Dad in his old Reo, back in the days when cars had running boards to help you climb up into them. As my Dad and I were puttering down John R Street on the way home, one Saturday morning from shopping, I leaned against the door and next thing I remember I was laying on the pavement by the side of the road. How I’ll never know but hardly suffered a scratch. Worst for wear, however, was Dad who I think went a block before he realized he was missing a passenger, namely me. When he came back he was understandably shaken but thankful I was ok.
Harry Glover died on 6 September 1950 from leukemia. He is buried in Park Cemetery, Marquette, Michigan. 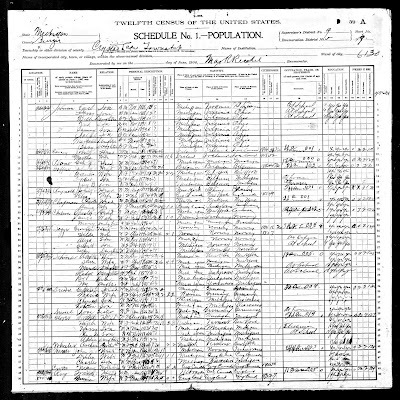 1900 U.S. Census, , Population Schedule, Crystal Lake Township, ED 5, Sheet 19A, , Harry Glover. 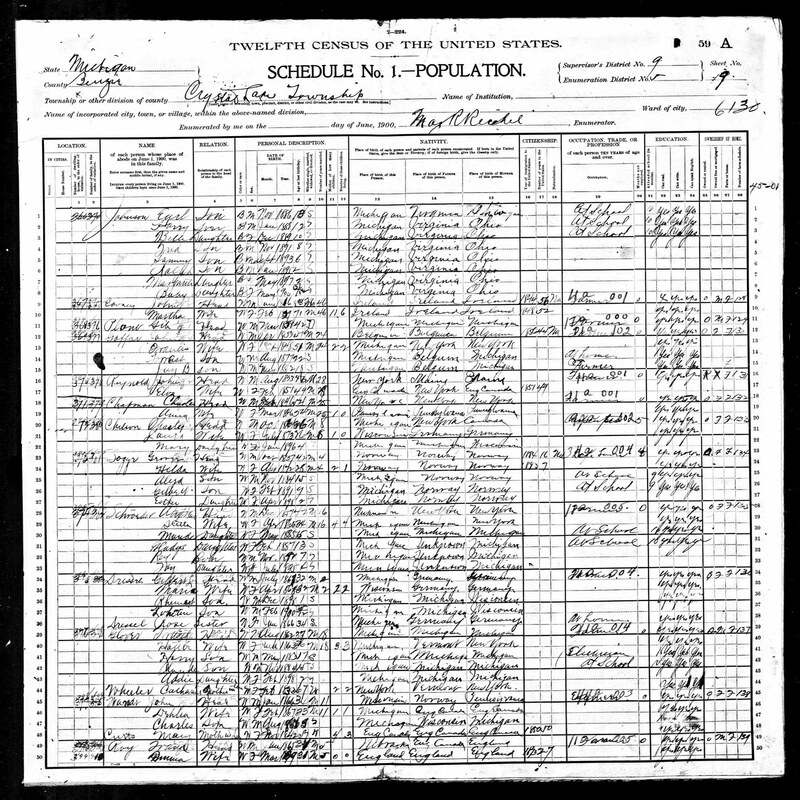 1910 U.S. Census, , Population Schedule, Marquette, Ward 4, ED 191, Sheet 4A, dwelling 71, Frank H. Jr.
1920 U.S. Census, , Population Schedule, Detroit Ward 2 Part of District 6, ED 69, Sheet Number 4A, Family 83, Harry Glover. 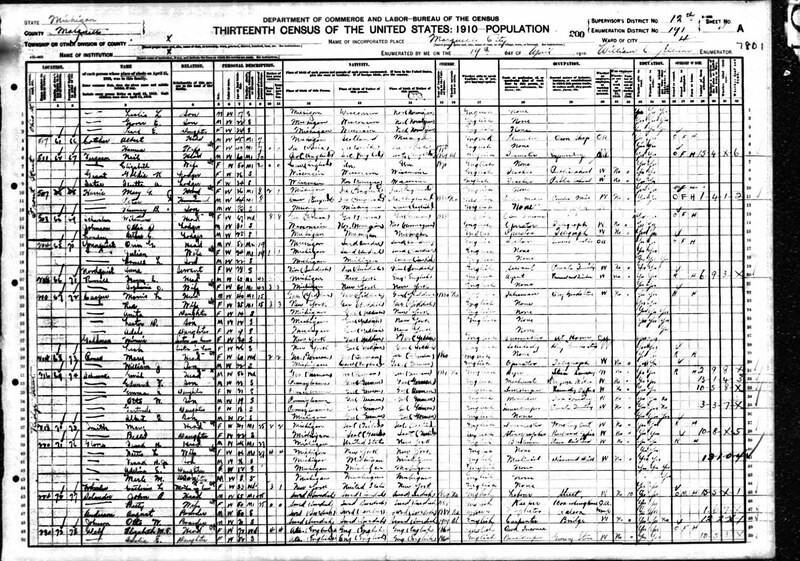 1930 United States Federal Census, , Population Schedule, Royal Oak, Oakland, Michigan, ED 122, 16B, Dwelling 381, Frank H. Glover Head of Household. Grave marker for Harry Glover, Harry Glover 1883-1950, Park Cemetery, Marquette, Marquette, Michigan, USA. (301 W. Ridge Street; Corner of Ridge and 7th Streets). Photographed by Brenda Leyndyke, July 2009. Michigan. Jackson County. 1874-1889. FHL microfilm 0941624. Family History Library, Salt Lake City, Utah. Michigan. Marquette County. 1850-1976. FHL microfilm 1007540. Family History Library, Salt Lake City, Utah. Brenda, you did a nice timeline of Harry's life. It was sad that his 1st wife died so young. Doing a bio is something I've yet to do, so maybe I'll try it. Thanks. Thanks Barbara, I enjoy doing them. For some reason it takes me awhile to get it all together though. Very nicely done! I'm going to Marquette in a few weeks - let me know if I can visit the cemetery for you. I also plan on going to the courthouse there. I hope you have a good trip to Marquette. Thanks for the offer to visit the cemetery, but I think I am good. If you haven't been to the Longyear Research Library on the second floor of the history museum, it is worth a stop. They were very helpful to me last summer when I visited.